Vandevert Ranch is a low-density gated community sixteen miles south of Bend, Oregon. 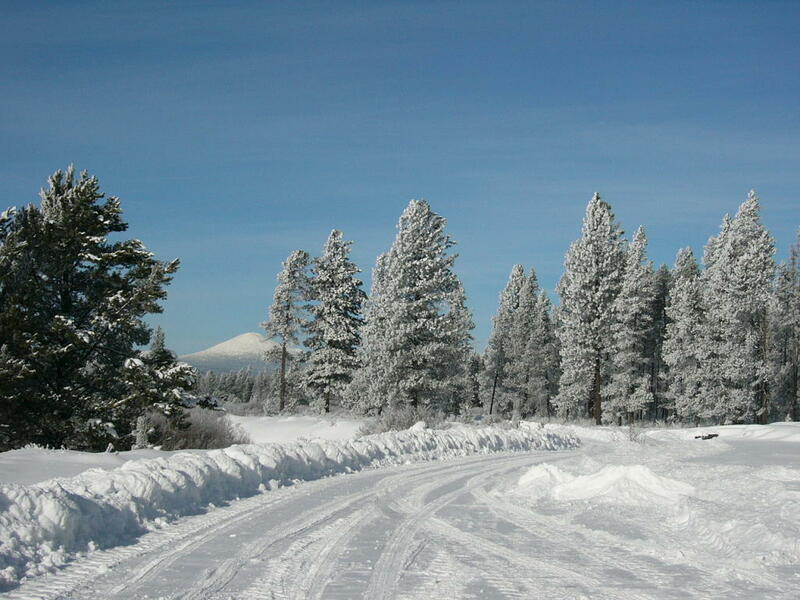 Twenty ranch owners share 350 acres of common land on both banks of the Little Deschutes River and hold about 50 acres in individual lots. The Vandevert family founded the ranch in 1892, raising children and cattle here for a hundred years. The seventeen custom homes built on the ranch have been designed by leading log home architects of the West and Northwest. This web site is for the information and enjoyment of the owners, their guests, and all those associated with the ranch. The ranch is rich in its history, its environment, and in opportunities for recreation. The web site also provides information for buyers and builders. At right, March was a good month for snow this year. Copyright 2004-2018 The Vandevert Ranch Association. Neither the Association nor its members guarantees the accuracy or completeness of information or representations on this Web Site. Buyers should obtain definitive information from their real estate agent.